Silverthorne is located in Summit County, about an hour from Denver from I-70. It is a great town to live in that is well managed and always working to bring jobs to the area. Mountain ranges are breath taking. Silverthorne enjoys access to six elementary school, middle and high school and boasting academic scores that are the highest in the nation. If you are new to the area, I have the property for you. 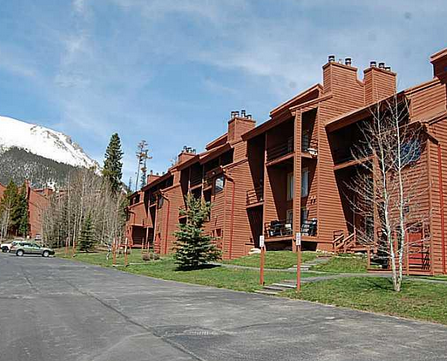 This gorgeous condominium is on the third floor of Timber Ridge, building #3 with majestic mountain views overlooking snowcaps. This beautiful property is nestled in a star complex in Wilderness. In addition the condo has a strong homeowners association that gives you peace of mind. This property has 3 bedrooms, 3 baths, and 1183 of total square footage. The bedrooms are ‘just right’ but the focal point of this appealing home is the dining room and living room that overlook the mountains and deep sky. The fireplace and home heat source is natural gas making it cost efficient. Oak cabinets in the kitchen with granite counter tops, and built in range adjacent to the sink will make this area a winner for the cook in the family. Living here would be like having access to your winter wonderland. In addition to the mountain views, you have lake views, which offers you the better of two worlds. If you are into hiking or walking, the property sits next to the National Forest and also boasts the convenience of a bus route. Your HOA fee is 528.00 a month which conveys cable television, snow removal, water, sewer, pick up for your trash, and common area maintenance. Common areas are pristine and looked after as it is your home, and you are paying for that service. You also have Internet and the management included in your monthly fee. All you would ever want is here. 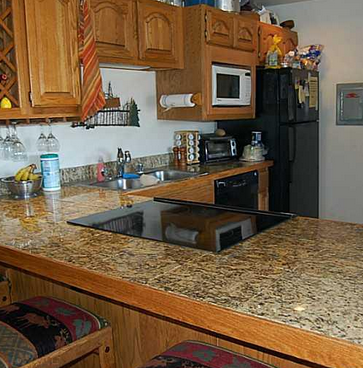 In addition to having good neighbors and being able to interact with the great people that live in the facility, you have a Clubhouse that offers social activities, a beautiful hot tub to use, a well-maintained pool that is kept healthy and clean, racquetball courts and nice areas for tennis. When you think about it, your activities in the winter or summer are here at your fingertips and they are for your use. There is no resort fee, which can be a nuisance. The water is provided by the city and as you can imagine, is clean and pleasant tasting. Some people want to own a property like this to enjoy full time or you may just want an investment. Whatever you choose, you have a location that is beautiful, desirable, and the nature is abounding. In the area of Denver and surrounds, these homes and locations are coveted as the air quality and recreational facilities are plentiful. Many of your leisure activities sit on the property and it is not far to branch out. For more information or to schedule a showing, visit our Contact Us page or call our offices directly at (970) 668-2121.